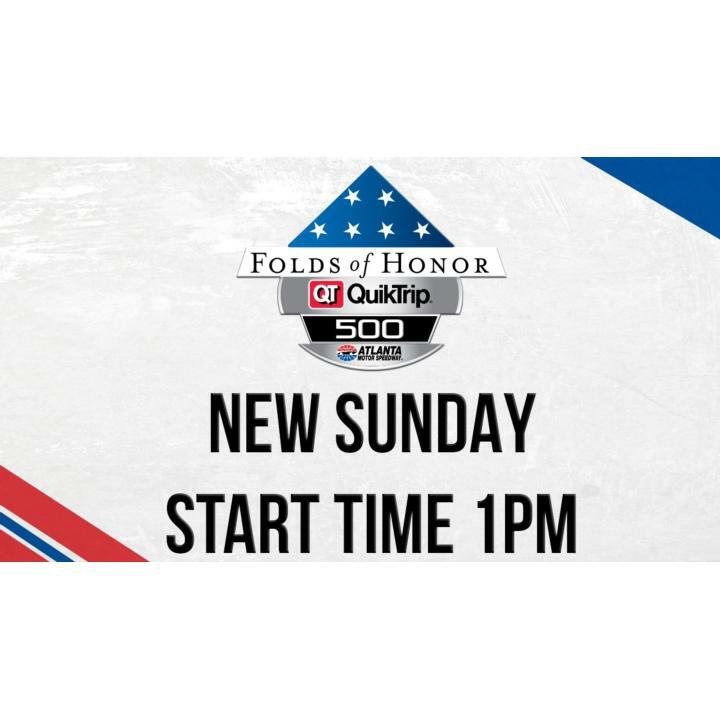 Due to the probability of wet weather in the Hampton, Georgia area in Sunday afternoon's forecast, Atlanta Motor Speedway, in collaboration with NASCAR, will proactively move the start time for the Folds of Honor QuikTrip 500 to 1 p.m. This moves the drop of the green flag up one hour from the originally scheduled 2 p.m. start. Driver introductions will now begin at 12:20 p.m., and all entry gates will open at 9 a.m., one hour earlier than originally scheduled. Additionally, the Atlanta Motor Speedway Pre-Race Concert presented by iHeartRadio featuring Chris Janson will begin at 11a.m., near the start/finish line on the frontstretch. Kyle Busch will start from the pole, with Ryan Newman on the outside front row. Stay tuned to www.atlantamotorspeedway.com and its social media channels for the latest information from the track. 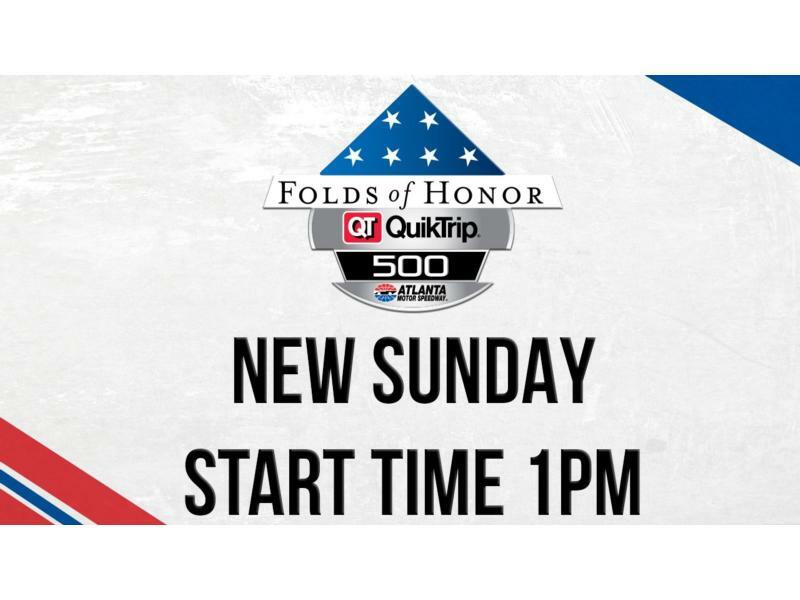 Fans can purchase tickets to Sunday's Folds of Honor QuikTrip 500 by calling 1-877-9-AMS-TIX or by visiting www.atlantamotorspeedway.com/nascar/. Tickets are also available at the AMS ticket office.